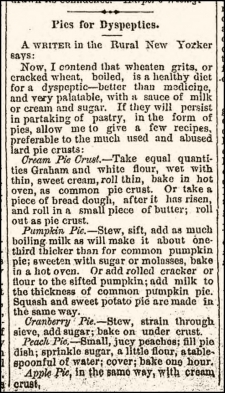 Cream Pie Crust.–Take equal quantities Graham and white flour, wet with thin, sweet cream, roll thin, bake in hot oven, as common pie crust. Or take a piece of bread dough, after it has risen, and roll in a small piece of butter; roll out as pie crust. 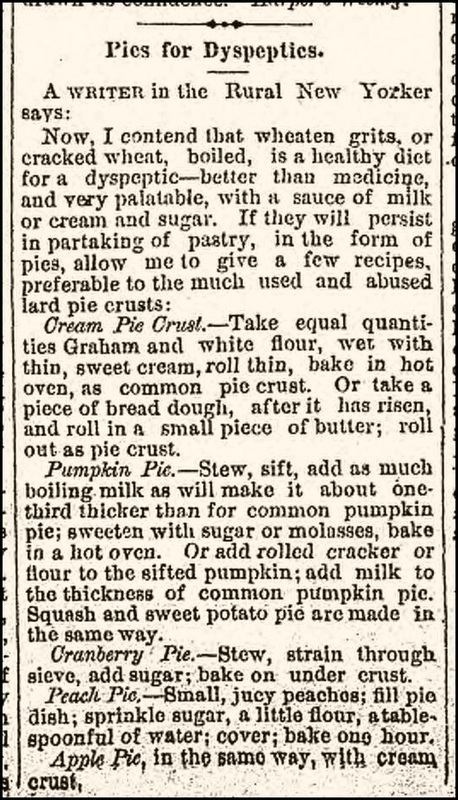 Pumpkin Pie.–Stew, sift, add as much boiling milk as will make it about one-third thicker than for common pumpkin pie; sweeten with sugar or molasses, bake in a hot oven. Or add rolled cracker or flour to the sifted pumpkin; add milk to the thickness of common pumpkin pie. Squash and sweet potato pie are made in the same way. Cranberry Pie.–Stew, strain through sieve, add sugar; bake on under crust. Peach Pie.–Small, juicy peaches; fill pie dish; sprinkle sugar, a little flour, a tablespoonful of water; cover; bake one hour. Apple Pie, in the same way, with cream crust. 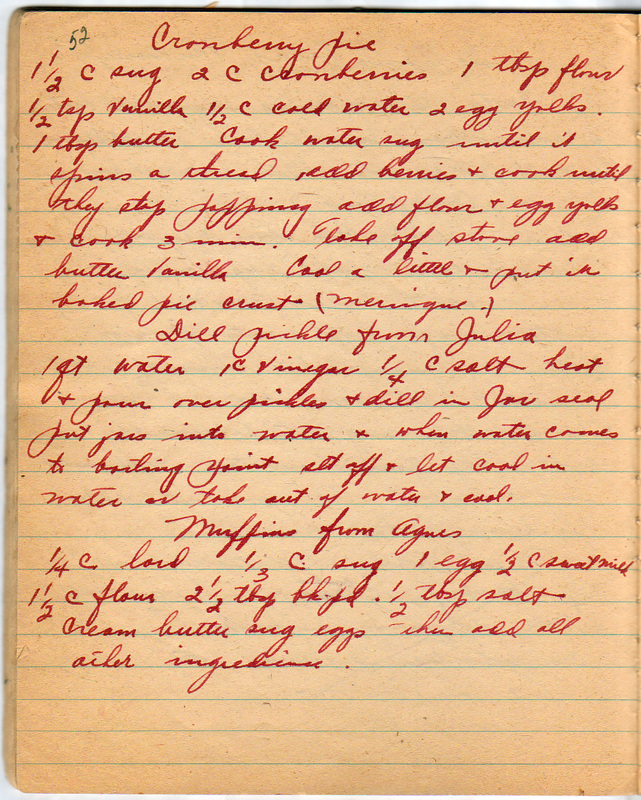 This recipe is from the 35th page of the notebook; here’s the page in full (click to enlarge). Cook water and sugar until it spins a thread; add berries and cook until they stop popping. Add flour and egg yolks and cook three minutes.